Marek Holeček published the details to the first ascent on Gasherbrum I (8068 m), he did after years of attempt with the climbing partner Zdenek Hak. They named the route Satisfaction! 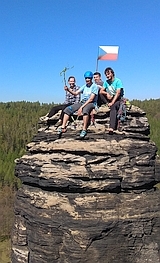 (Im memory of Zdenek Hruby), they suggested the grade as ED+ (M7,WI5+), 70°, height 3000 meters. 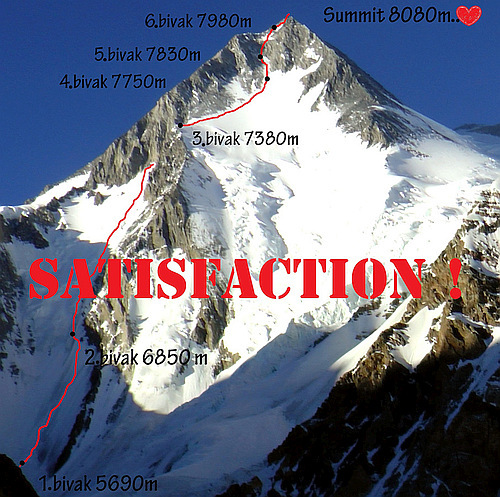 Pakistan, Karakoram, Gasherbrum I 8068 m.
Route name: Satisfaction! ( Im memory of Zdeněk Hrubý). blog.hudy.cz: Marek Holeček o zrodu cesty Satisfaction!